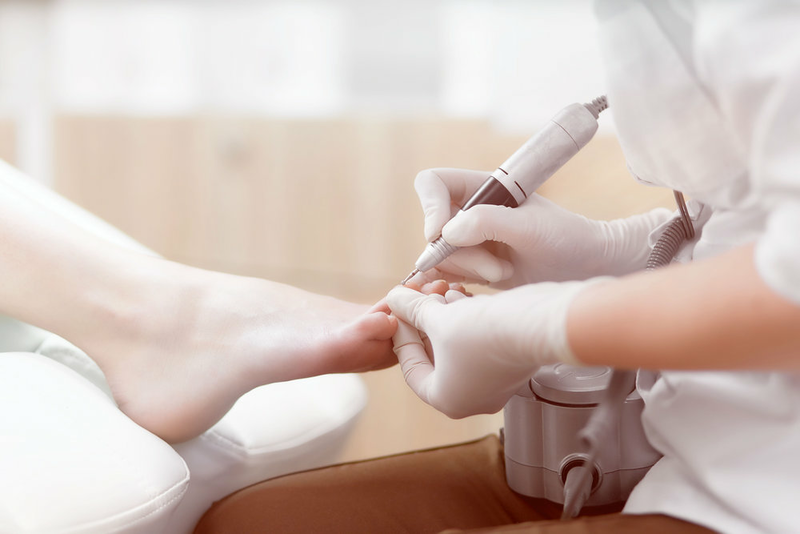 Our bespoke podiatry treatments aim to diagnose and resolve minor foot ailments, including pain, growths and infections. We take care of your feet in order to improve your overall health, mobility and wellbeing. Our body parts are interconnected, and pain in one area can often originate elsewhere. By examining the entire body, including head, shoulders, pelvis, legs, knees and feet, we can help resolve associative pain and injuries. Verruca needling stimulates the body’s immune system to resolve warts and verrucas. Treatments involve minimal discomfort, speedy recoveries, are often effective with one procedure. Nail surgery helps resolve infected, ingrowing toenails or damaged, distorted thick nails. It can provide permanent pain relief and prevent recurrent infections. This includes removal of corns, calluses, and hard, dry skin, a specialist pedicure, deep exfoliation and relaxing foot massage - the ultimate treatment for gorgeous, healthy feet. FMT is a gentle, hands-on therapy, systematically working on every bone and joint within the foot and ankle. It can help resolve associated pain and dysfunction in the knees, hips & lower back.